Omaha, NE, Jan. 31, 2019 - The Scoular Company announced today that Amy Bailey will join the company as Director of Brand Marketing & Corporate Communications, effective February 4, 2019. Bailey will office in Scoular’s headquarters location in Omaha, Nebraska, reporting to Senior Vice President and General Counsel Megan Belcher. 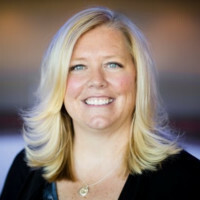 Bailey most recently served as the Senior Director of Brand, Buzz & Insights Marketing for Blue Cross Blue Shield of Nebraska (BCBSNE) where she oversaw all marketing, corporate communications, branding, and corporate social responsibility activities. “Amy is an experienced business leader with over 20 years of marketing, communications, and strategy experience. "Her career spans multiple industries as well as business models, bringing deep brand marketing and development expertise to the team,” said Belcher. In addition to her experience at BCBSNE, Bailey worked as a Strategic Business Consultant for Right Management, held a variety of marketing positions with Applebee’s International and Kraft Foods, and ran her own executive coaching and marketing business. She is also an adjunct professor at the College of Business Administration at University of Nebraska Omaha, having taught courses in Marketing, Advertising, Consumer Behavior, and Organizational Leadership. Bailey holds a bachelor’s degree in International Business from the University of Nebraska - Lincoln and an M.B.A. from the University of Michigan.